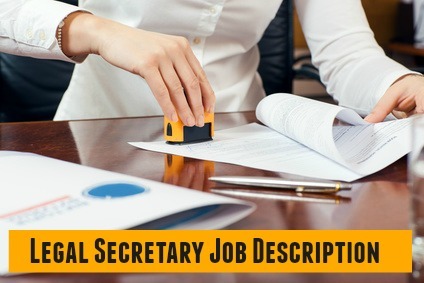 The legal secretary job description records the core tasks, activities and responsibilities associated with the legal secretary position. Legal secretaries are employed in law offices, financial companies and government offices. The position may vary from office to office but the key duties of a legal secretary remain standard. Use the sample legal secretary resume to build a professional and persuasive resume. Include a job-winning legal secretary cover letter with your job application. 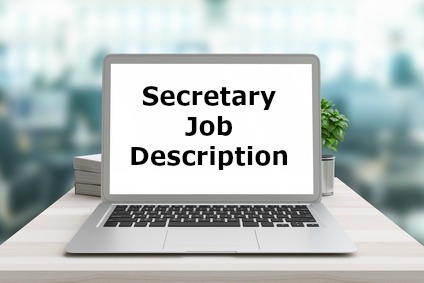 According to Indeed.com the average salary for US-based job postings for an experienced Legal Secretary on the site is $46,000 per year as of March 2019.